Welcome to Oshawa! Located on the shores of Lake Ontario, the city features a lively downtown core and a rustic countryside, and is also filled with historic sites, creative dining destinations, popular annual events and attractions, arts and cultural experiences and a variety of entertainment options. Everyone in Oshawa loves Shopping and Nightlife! 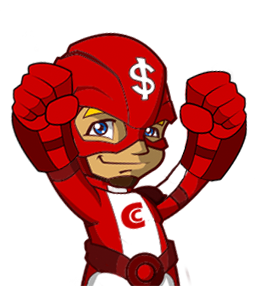 Our statistics shows that Oshawa citizen enjoy using their loans from CaptainCash to run some shopping! About 60 kilometres south of Toronto, the city of Oshawa, Canada holds its place on the shore of Lake Ontario. With just under 165,000 residents, it’s not exactly the most populated city in the region; still, it doesn’t fall short on charm, beauty and local attractions. As is the case in every other city in the nation, making ends meet and still having a little money left over to enjoy all the area has to offer isn’t always easy or even possible at all for those who live here. At Captain Cash, we’re here to take some of the financial stress of your shoulders. Our cash loans in Oshawa are designed to help float you through those times when the demand for money outweighs the available supply. If you’re looking to bridge that gap, choose the amount needed and enter your name and email address in the space we’ve provided to create an account. Then, click on the “Claim Your Cash” button to get started. Age: Only those 18 years old or older can receive a cash loan. 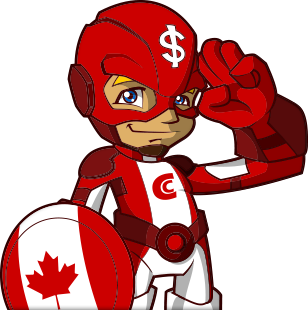 Address: Applicants must be Canadian citizens in order to qualify for a loan from us. Employment: We ask that our borrowers have steady employment and at least three months’ history at their current jobs. We do not accept self-employment records, disability, Canada Pension Plan, private pensions, Social Assistance or student loans as sources of income. Bank Account Information: We require applicants to have a valid Canadian bank account that’s been active for at least three months and has had very few insufficient funds issues. Aside from those minimal prerequisites, we inquire as to whether or not applicants are on the verge of bankruptcy or entering into consumer proposals for debt relief. We’ll also look at any additional open short-term loans in the borrower’s name. Once your application has been submitted, we’ll get the approval process underway. We’re typically able to have money in applicants’ bank accounts by the close of the business day. What Are My Neighbours Using their Loans for? Our research shows most locals are using their cash loans in Oshawa for shopping, much like people in some of our surrounding cities. We’ve got plenty of places to choose from if this is your goal, like Oshawa Centre. As the largest shopping venue of its kind in the Greater Toronto Area, Oshawa Centre offers Build-a-Bear Workshop, Sephora, Pandora, Lululemon, Old Navy, Guess and almost 200 other stores. We also have White Feather Country Store with a broad range of homemade baked goods, fresh local products, novelties and gifts. In second place on Oshawa’s spending list is food. We love dining out and taking advantage of all the great local cuisine. Teddy’s Restaurant and Deli brings a lot of highly recommended breakfasts, lunches, dinners and desserts to the table. Mandarin Restaurant offers an extensive Chinese buffet whereas Avanti Trattoria’s menu is filled with pizzas and traditional Italian dishes. Of course, you’ll find just about anything you’re in the mood to eat around the city. As far as other options go, the room escapes and scavenger hunts at Oshawa Escape Rooms, Inc. are popular activities. Bowling, rides and games at Neb’s Fun World draw in the crowds. Zip-lining and obstacle courses at Treetop Outdoor Adventure Park give people a nice challenge and a chance to enjoy nature. There are too many places and opportunities to mention, but they’re all well worth checking out. Obviously, cash loans in Oshawa don’t have to be used for shopping or a day out on the town. If your children have grown up, moved away and started families of their own, why not fly them home for a few days? Visit friends or family living elsewhere. Pay upcoming bills ahead of schedule for a little extra leeway next month. Has your water heater been slacking on the job lately? Replace it before it goes out completely. 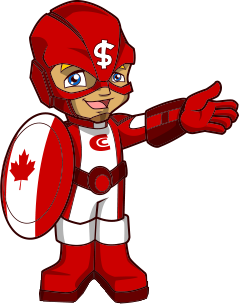 At Captain Cash, our cash loans in Oshawa range from $500 to $750 and are ready to use as needed. Making them available to local applicants is our job. How they’re spent is entirely up to you. Sizable loans are meant for considerable expenses and are paid back in small increments over the course of several months. Our smaller loans fill the void between being completely strapped for cash and needing thousands of dollars for an expenditure. Use them for less involved situations, and pay them back on your next payday. For those of us who’ve had past financial issues, only a handful of doors remain open where loans are concerned. At Captain Cash, eligibility doesn’t depend on a credit score of 800 or better. We don’t perform credit checks, so your borrowing history isn’t as much of a problem as it might be with other lenders. When applying for a loan at a bank or other lending institution, actually receiving the money could takes several days or even weeks. 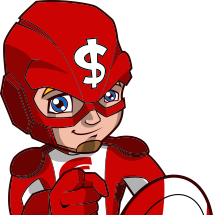 Our cash loans in Oshawa put money in your pocket within a day of application submission. With us, you don’t have to set up an appointment or even drive to a local branch office. Simply apply online or over the phone, and watch the money be deposited directly into your bank account. We’re here for you with our online application available around the clock. Get the money you need quickly and easily regardless of credit score or reason for borrowing. Create an account and fill out the application we’ve provided or call us at 1(888) 226-1026 to claim your cash today. We do loan in Oshawa and much more. Whenever you are in Windsor, Barrie, Mississauga, Hamilton... do not hesitate to claim your cash today!